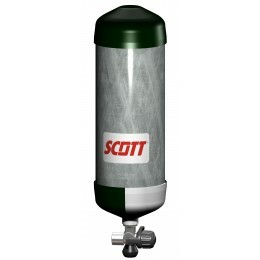 A 9 litre 207 bar carbon fibre cylinder providing a light-weight solution for containing the air required by a Scott breathing apparatus. CE marked in accordance with the Pressure Equipment Directive (PED). This cylinder provides 46 minutes of on-demand breathing air.